Personal details provided by you to Bridgepoint through electronic responses from this site will not be forwarded, sold, or made available in any way to any third party. However, Bridgepoint may communicate with you again with other information that is complimentary to your original request. Each of these communications will have clear ‘opt-out’ instructions so you can choose not to receive further Bridgepoint communication. On the other hand, you may wish to receive other Bridgepoint communication, you would always be asked before such information is forwarded. Bridgepoint may use information it collects from you for the primary purpose for which it is collected and for such other secondary purposes that are related to the primary purpose of collection. 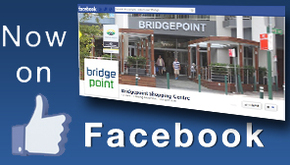 give you the opportunity from time to time to receive e-mails and ‘e-newsletters’ from Bridgepoint. It is not in Bridgepoint’s interest to continue to send you emails once you have requested to be unsubscribed. If you have any questions regarding this please contact us.